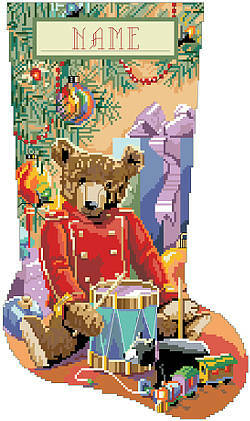 Create a gorgeous stocking that will be enjoyed for years. 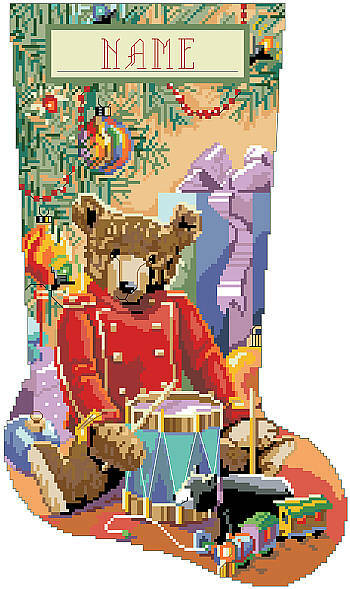 Rich coloring and exquisite design will make this Little Drummer Bear a treasured Christmas piece. Contents: Stitch Count 136w X 205h, finished size on 14 count: 10-7/8" 14-3/4"